Frasers Property Ltd and Frasers Centrepoint Trust, a REIT managed by a unit of the Singapore-listed developer, are together acquiring an additional 31.66 percent stake in a PGIM retail real estate fund that owns a set of suburban Singaporean malls, according to an announcement to the Singapore stock exchange. The investment by the two units of Thai tycoon Charoen Sirivadhanabhakdi’s Frasers Property Group will cost the developer and listed trust an estimated S$635 million ($470.1 million) and give them a combined 66.59 percent stake in PGIM Real Estate Asia Retail Fund Limited, following a pair of earlier investments by the same two companies. The investment, which comes just one week after SC Capital Partners bought a mall in northeastern Singapore from AEW, gives Frasers Property and its REIT affiliate a majority stake in the fund managed by the real estate investment affiliate of Prudential, which now holds five suburban shopping centres and the Central Plaza office building in Singapore. In this latest transaction, Frasers Property is paying approximately S$601.5 million to acquire an additional 158,145 shares in the PGIM fund, with this latest acquisition coming after the company had purchased 94,013 shares in the vehicle on February 18th. In what is becoming a more common form of accessing stabilised real estate assets in top Asian markets, Frasers purchased its shares in the fund on the secondary market from PGGM, the second largest pension fund manager in the Netherlands, according to sources familiar with the transaction who spoke with Mingtiandi on condition of anonymity. Following this week’s transaction Frasers Property will hold a combined 47.82 percent stake in the trust, which holds the Tiong Bahru Plaza, a mixed-use complex which includes the Central Plaza building; the White Sands mall in northeastern Singapore’s Pasir Ris area; the Hougang Mall near the Hougang bus interchange and Hougang MRT station; as well as Century Square and the Tampines 1 mall in the northeastern part of the city-state. The PGIM fund had formerly held the Liang Court mall near Clarke Quay before agreeing to sell it recently to a joint venture between CapitaLand and City Developments Ltd for a reported S$400 million, market sources have confirmed to Mingtiandi. In addition to the investment by Frasers Property, the manager of Frasers Centrepoint Trust revealed in a separate announcement today that it was acquiring an additional 158,145 shares in the PGIM fund on behalf of the listed vehicle – equal to around 1.67 percent of the total shares. This latest batch of shares acquired by Frasers Centrepoint Trust, which already owns a portfolio of six malls in Singapore, comes after the listed vehicle had acquired a 17.13 stake in the fund on 28 February. The earlier acquisition by the REIT also saw the fund buying shares from at least five existing investors in the fund, including APG and CBRE Global Investors, among other limited partners, with JLL having advised the sellers in that transaction. The fund had 24 beneficial shareholders as of 31 December. 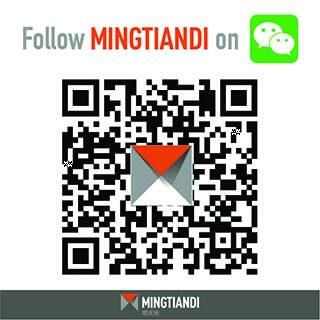 Contacted by Mingtiandi regarding the share sales, Prudential representatives declined to comment. Following the set of transactions PGIM will remain the manager of the fund, which manages the property assets through the AsiaMalls platform. The new-found liquidity in shares of the PGIM Real Estate Asia Retail Fund comes as interest in trades of shares in real estate investment funds on secondary markets rises worldwide. Last September, Swiss asset manager Partners Group raised €2 billion ($2.27 billion) for its third dedicated private real estate secondaries vehicle, according to a statement by the company at the time. For the shareholdes in the PGIM retail fund, which closed on S$3 billion in capital in 2011 as the Pramerica AsiaRetail Fund, today’s sale is a new chapter in a long journey. The share sales come after JLL reportedly assisted the fund in disposing of a number of Malaysian retail assets in Petaling Jaya, Kuala Lumpur and other cities during the second half of last year.